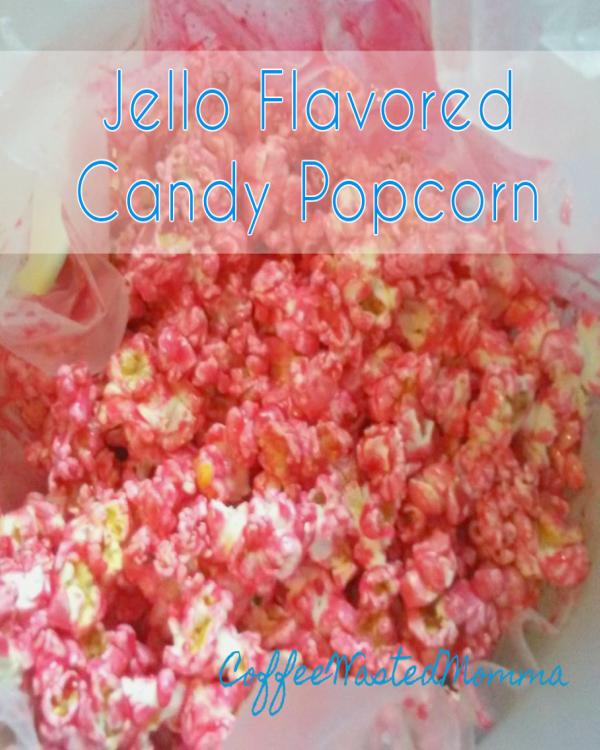 CoffeeWastedMomma: Recipe: Jello Flavored Candy Popcorn! Yum! Recipe: Jello Flavored Candy Popcorn! Yum! Hi Y'all! I am super excited to share one of our favorite snack recipes with you! It is so yummy. Super easy and doesn't take a whole lot of time. My sister had a birthday party for my niece this past weekend. The theme was all things junk food! Pretzels, pizza, ice cream, cake, and...popcorn! Well, and unicorns of course! She calls at the last minute and asks us to make a ton of microwave popcorn. We came home with 3... as in 3 huge ice cream tubs full(we recycle) of popped popcorn! I just couldn't let it sit and go stale and be wasted! So, we decided to go for our old tried and true recipe. 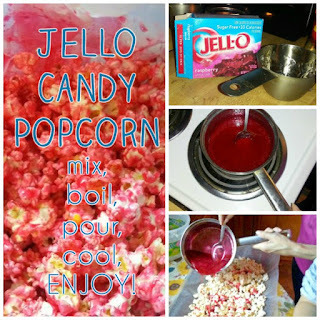 We whipped up our yummy Jello Flavored Candy Popcorn. We used Raspberry jello for this one! See in the picture that wonderful shiny pink? It tastes as good as it looks! That's it! It is so easy and only takes about 10 minutes! Remember you can try any flavor and the colors are amazing! Enjoy your very own fun treat! 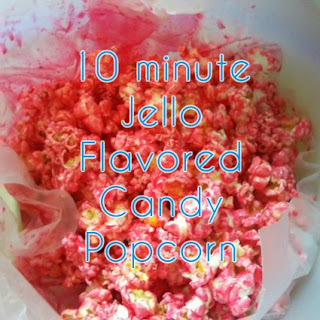 WE are going to try this, my kids love making treats like this!